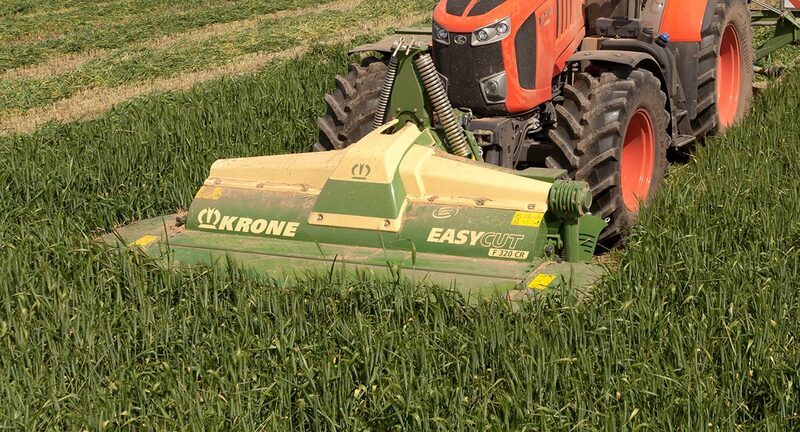 The EasyCut F 360 CR is a pulled mower with a fixed frame, this allows the mower bed to swing to the rear and away from any obstacle. 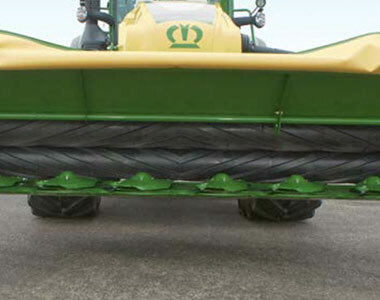 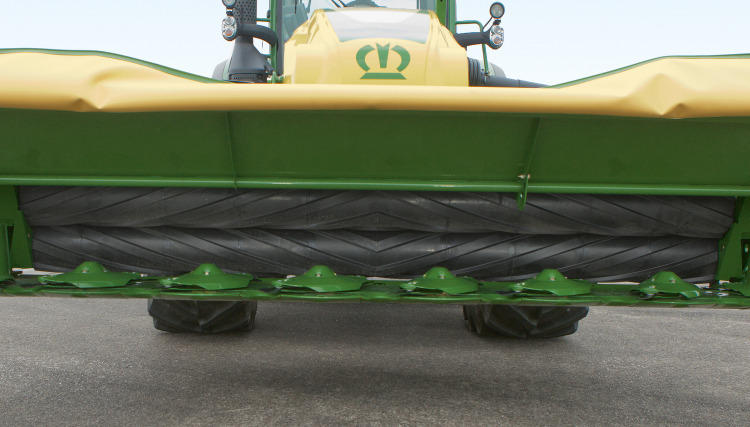 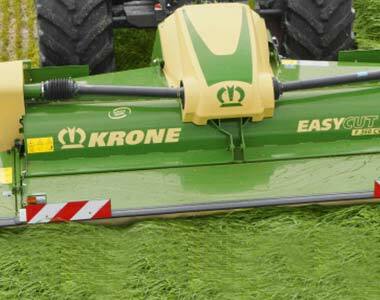 Matching this with the Krone fully welded cutterbar and SafeCut Shear pin protection system provides a mower suitable for the largest commercial work loads. 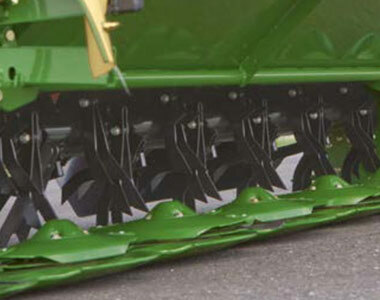 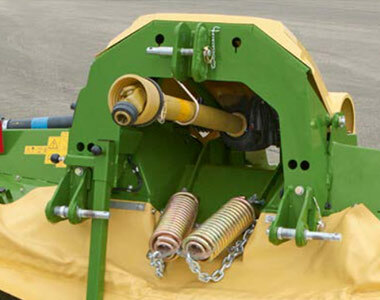 The wedge shaped cutterbar is adjustable through a large setting range which enables short stubble cuts in meadows and pastures and longer stubble in longs temmed field crops. 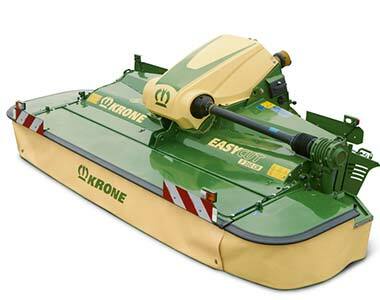 With each end pivoting through 30cm it guarantees the cleanest of cuts in even the most undulating of terrain. 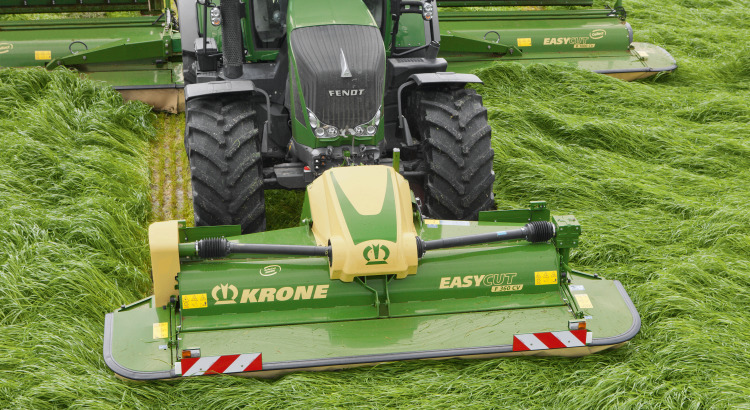 With foldable front guards on the mowers they change to a transport width of 3.45 m ensuring easy and convenient transport when going between fields.